The complete online booking system has been built from scratch. This was done in the programming language PHP or more precisely on the CakePHP framework. 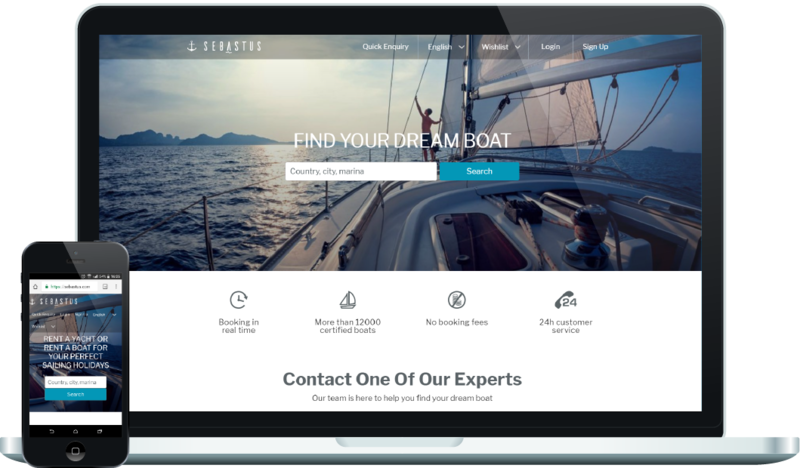 The system enables real-time bookings and reservations of boats in more than 77 countries. Entire database, with more than 12,000 ships, is updated every 15 minutes. 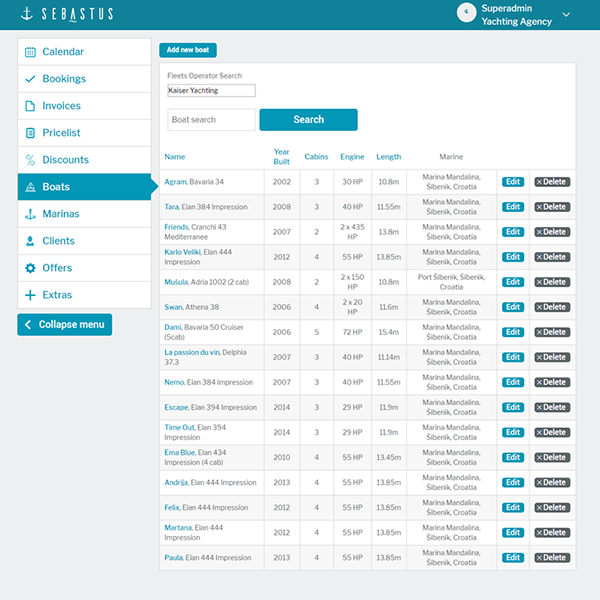 Booking system has advanced filters that simplify and speed up the search. The search results are presented via AJAX, so there is no need to refresh the page when the user is using filters. 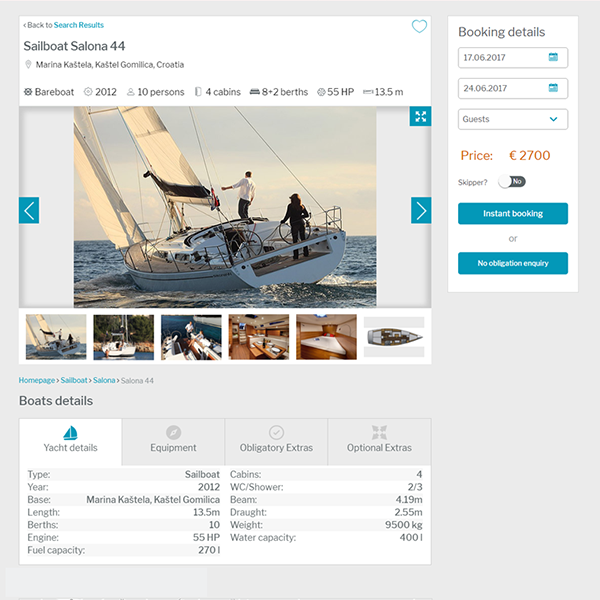 All the necessary information about the boat, which interests users the most, is located under the product / boat page. This information is located above and below the gallery. On the right side is a booking shopping cart, which allows immediate contact or booking. 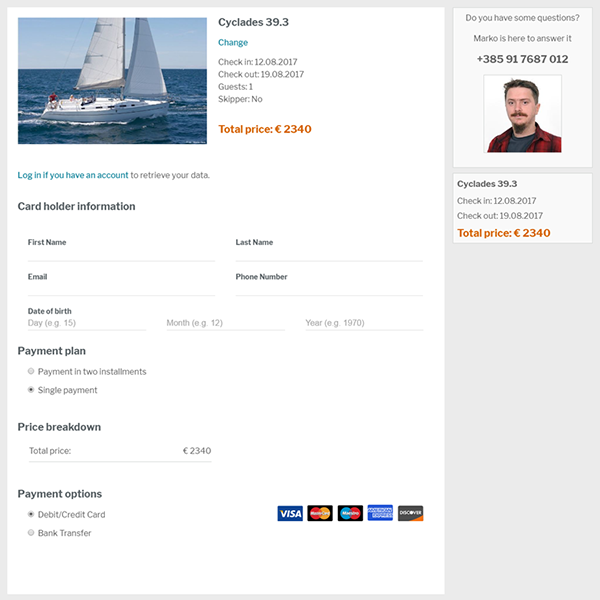 Checkout takes place in one step, but allows an overview of all information regarding the booking as well as the possibility to log in. If the user was already registered, all information will be added automatically to complete the registration. If there is no account, this can be opened automatically at checkout and the user receives the confirmation by e-mail. 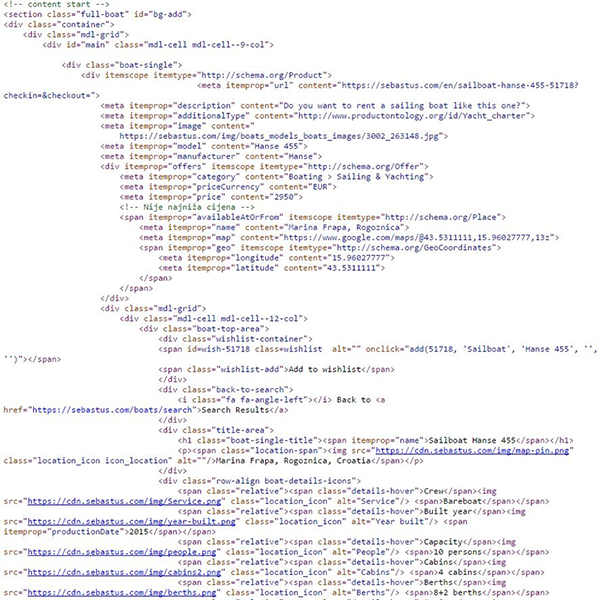 Fully implemented Schema.org code description of the products means that Sebastus is in line with future Google search engine algorithm update. Such description of information allows search engines (Google) to contextually retrieve any information from the page and display it in the mash up mode (eg. knowledge graph). Admin dashboard has several interfaces. 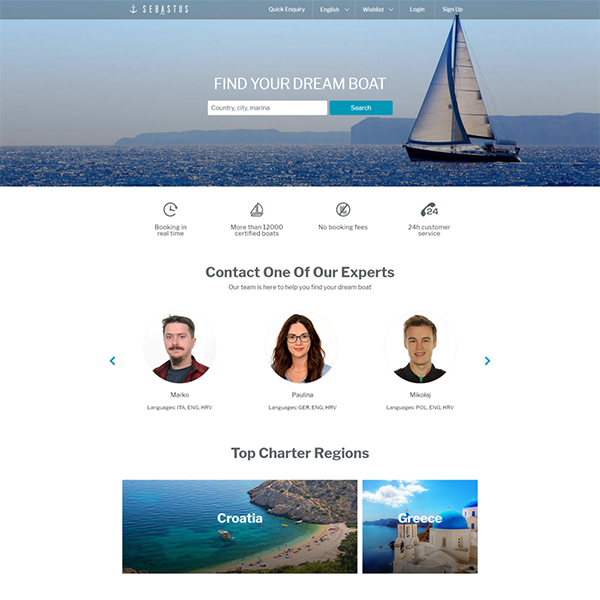 One interface allows each charter agency to run their own complete fleet on the portal and the second interface allows administrators to run the entire portal. 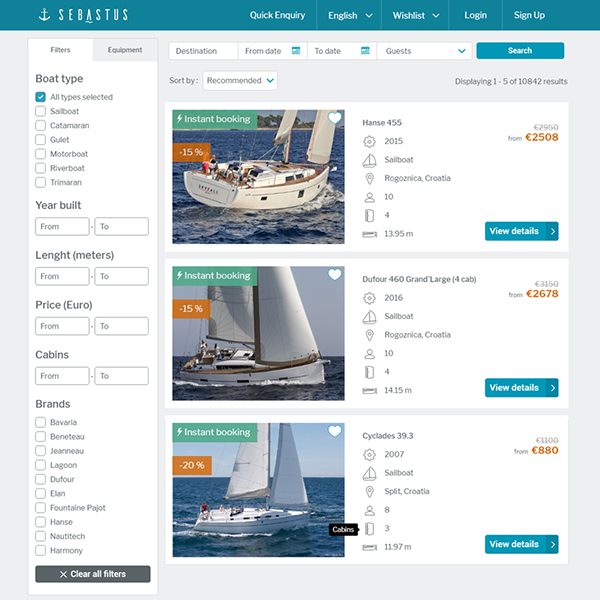 This also includes the complete base information of all ships, attributes, marines, calendars and prices as well as the customer control and the insight in which status is the booking. 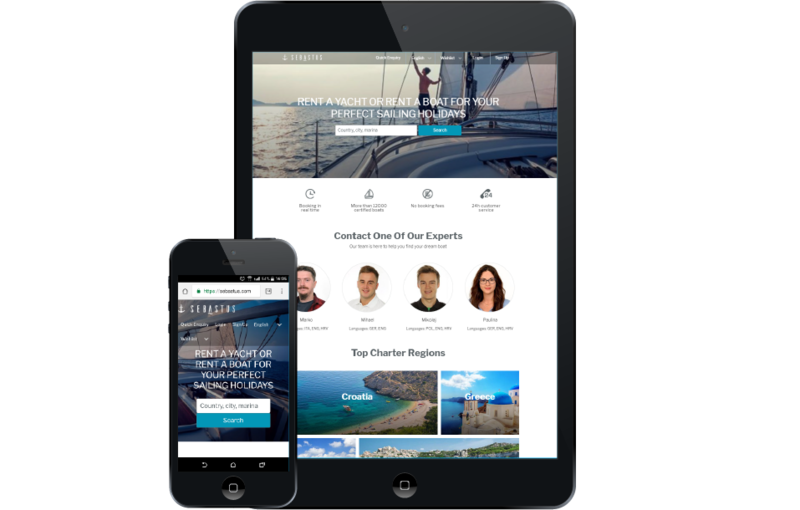 Each page created is also optimized for PC, tablet and mobile phone. An excellent presentation is important as smaller devices such as tablet and cell phone dominate more and more. The presentation video was created in English and is a short journey through the webpage.